P’esy : sbornik vazhnykh dlia nas tekstov za vse 14 let teatra / teatr.doc ; [Elena Isaeva and 16 others]. [Moscow, Russia : publisher not identified], 2016. Harvard Library owns a unique e-book containing a collection of plays written for the Moscow Teatr.doc theater. This small independent theater was founded in 2002 by a group of playwrights with the purpose of offering its audience documentary plays that are based on real events and drawn on documents and interviews with the events’ participants. The collection includes 15 plays written between 2002 and 2016 by Elena Isaeva, Elena Gremina, Maksim Kurochkin, Mikhail Ugarov and others. 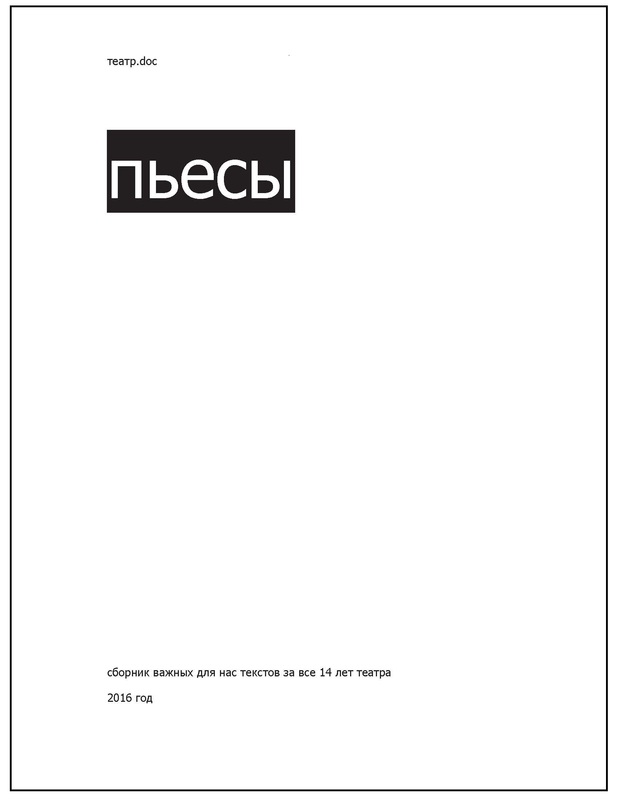 Among the subjects covered are independent art communities of the late 1980-s-early 1990s, the behind-the-scenes reality of television talk-shows, court proceedings from the political protest trial, the society reaction to the terrorist act in Beslan, the connection between personal happiness and the social context, etc. The full-text pdf text is available to Harvard ID holders directly from the online catalog.